Now that you've decided to buy Huntington Beach real estate for your next home, learn more about this beach community and your new home neighborhood by visiting some of these homeowner and resident websites. Just about everything you'd like to know about what's available, when it's happening and where it's at. Get connected to business relationships and be "in the know" when you visit the Huntington Beach Chamber of Commerce official website. Planning an event, want to see a community calendar, need info on the best hotels and attractions. Its all here at the Visitors and Conference Bureau. Learn about community government services - protecting and serving the citizens of Huntington Beach. 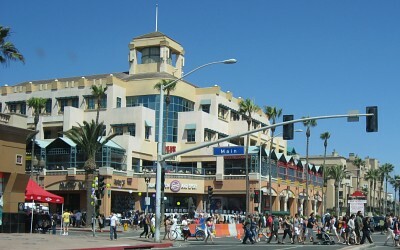 A partial list of the many local Huntington Beach restaurants. Learn about Huntington Beach's high profile high schools. Explore your childrens' educational opportunities from this informative website. Valuable information about the school district next door - to your immediate south. Learn the big picture for Orange County schools and school districts. A really great community resource for the citizens of Huntington Beach. Find out what's going on at the beach before you get there.